Or my favourite summer lunch ever. 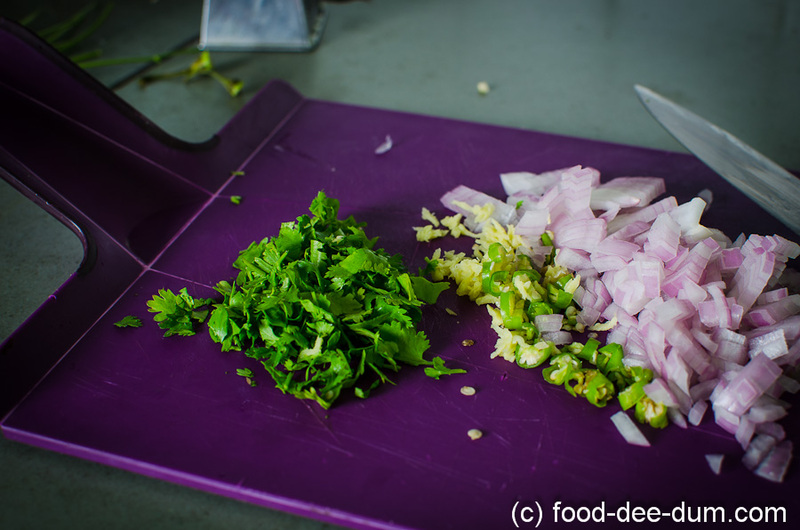 Growing up, my mom wouldn’t cook much South Indian food. That was mostly left up to my Masi (maternal aunt), who lived in Bangalore for a few years and picked up many an authentic technique! 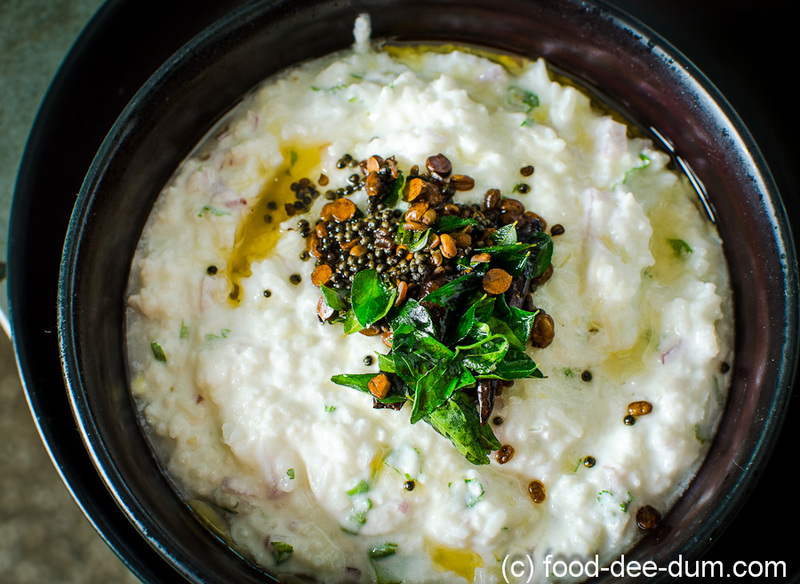 But mom did make this curd rice almost every second day – all the through the summer. From what I can tell, in South India, curd rice is usually a part of a larger meal. 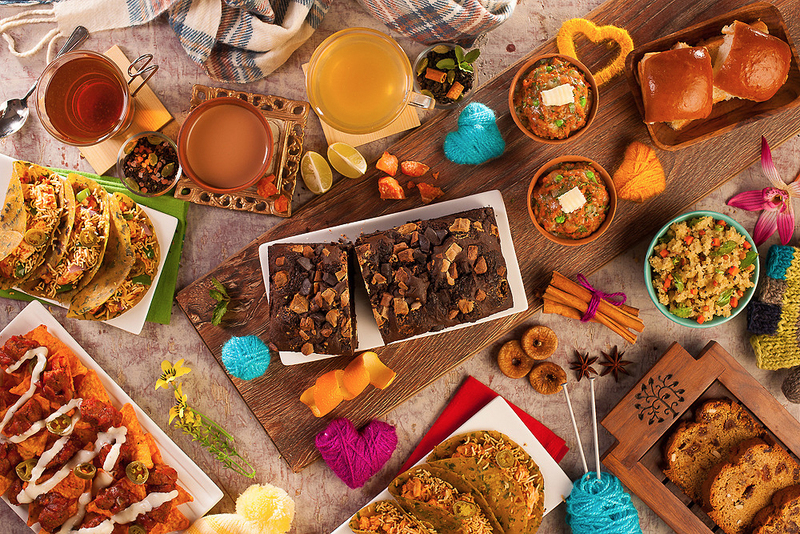 Sometimes a side, sometimes a soothing post-meal digestion aid, sometimes “prasadam“. But rarely the main course, the way that I like it. I lap it up by the bowlful! Some people like pickle or papad with it, but not I. Nothing gets in the way of the pure pleasure I experience by having it just as is. 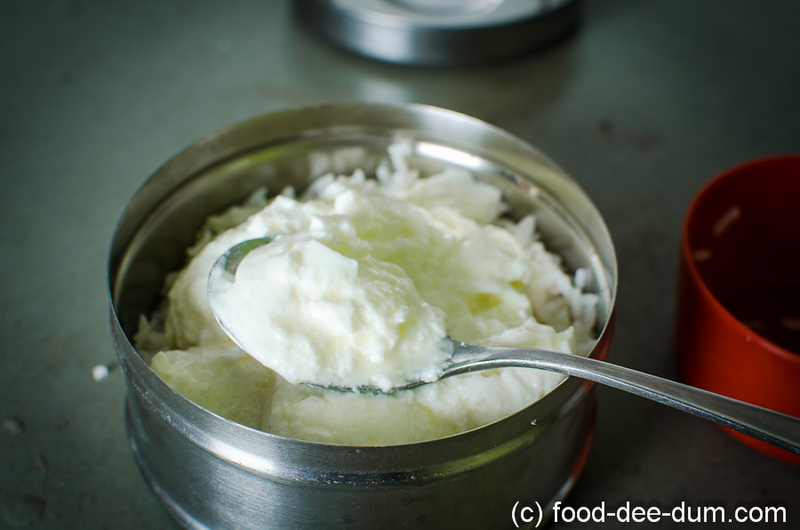 Now there’s nothing wrong with having plain rice freshly mixed with curd/ yoghurt. 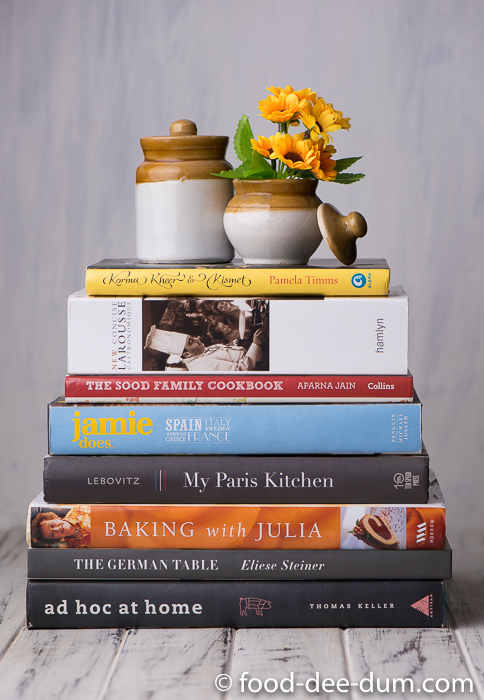 As simple and boring as that sounds, it’s delicious and you can’t go wrong with it. But I prefer this version with a hint of ginger & spice and the slight crunch of the tempering! It reminds me of my childhood, of summer lunches at my mom’s and the intense urge to nap afterwards. The steps are few and easy, but for this version it helps if you know you want to have this at least half a day in advance. The main concept of the rice base for this recipe is that instead of simply mixing rice and curd, we make/ set the curd along with the rice. That’s why the longer notice period is important. So for lunch today, I set the rice & curd first thing in the morning – around 8 am. (There is a note at the end for shorter prep time). First I measured and prepped the rice. Shorter grained rice is better for this dish, and even more so if it is slightly over-cooked. I used left-over rice and put it in boiling water for 5 minutes to cook it further. 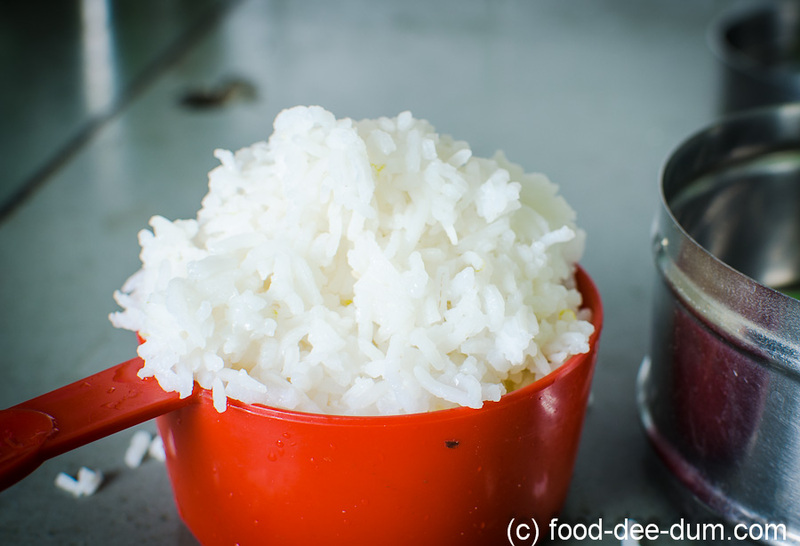 I drained the rice and discarded the water, measured it and placed it in a steel tiffin box. I’ve always set curd in steel boxes so it’s more habit than science! I spooned in the curd. 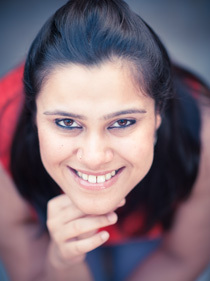 Once I had mixed the curd and rice, I stirred in the salt and the milk. Since I pulled the milk out from the fridge, I warmed it in the microwave for about 30 secs. The mixture of rice, milk and yoghurt should be slightly warm as that will help the fresh curd set. Not lukewarm and not hot. Just warm to the touch. The warm, just boiled rice and room temperature milk did the trick in this case. The whole mixture will be slightly watery. I closed the lid and wrapped the box in a thick warm towel and placed it inside my oven (with the power off – it’s just a comfortable, non-drafty, out of the way place to set curd) to set for about 4 hours. The towel and closed oven also helped contain the warmth – further aiding the setting process. When it was almost time for the 4 hours to be up, I got the additives ready. 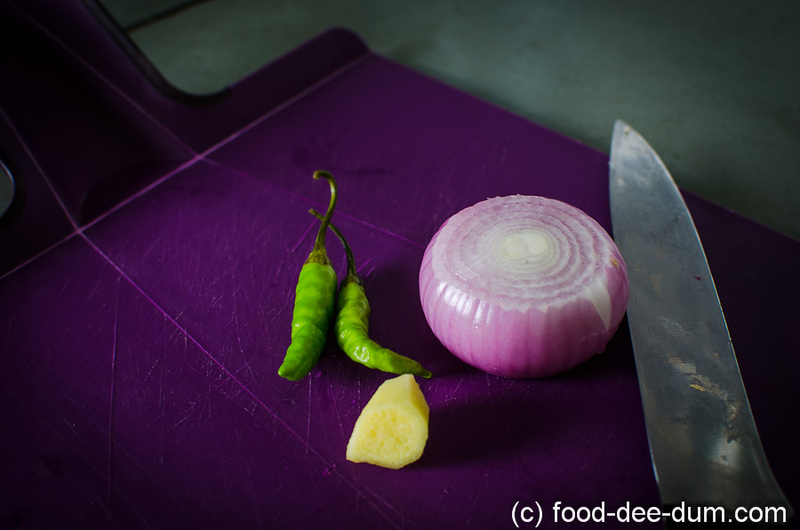 I chopped the onions, chillies and dhaniya finely and grated the ginger. I mixed these into the set curd rice and got the tempering ready. Also, this is the time to adjust salt, if required. For the tempering, I heated the coconut oil in a small tadka pan. I put in the mustard seeds & red chilli (broken in half). 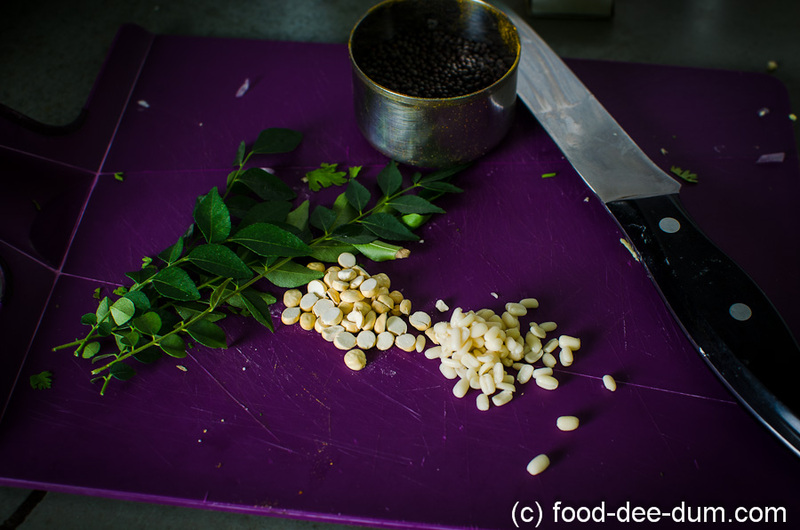 When the seeds began to sputter, I added in the dals and the asafoetida. Once the dals began to brown I put in the curry leaves and took the pan off the heat. I immediately poured this into the rice and mixed. Then I chilled it in the fridge for an hour before serving. Tada! 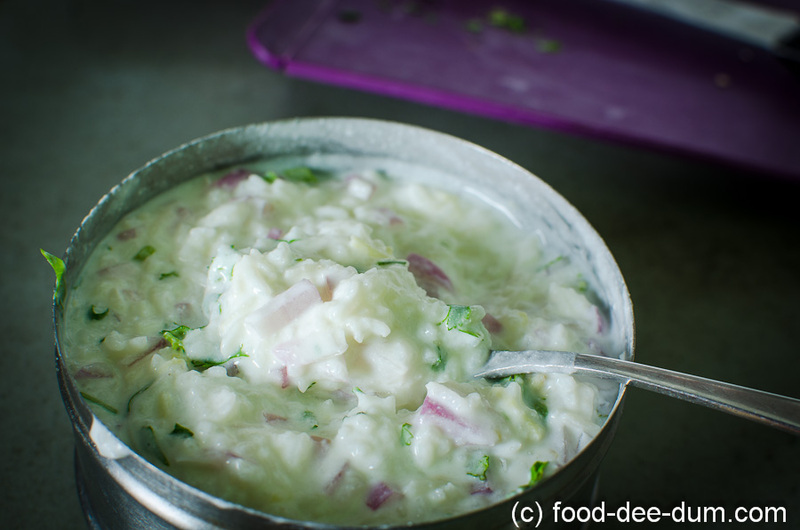 Cool, refreshing, delicately spiced and flavoured curd rice at your service. What’s not to love? 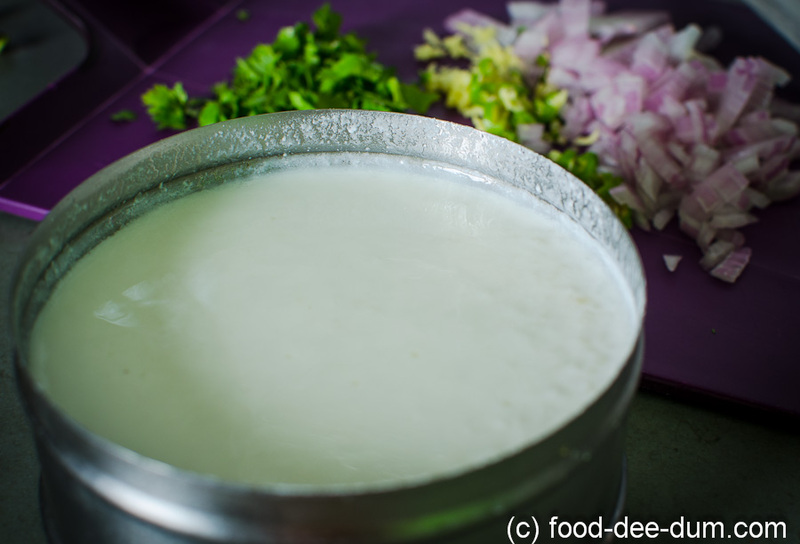 The idea behind this method is that curd is at it’s freshest and least sour within 1-2 hours of being set. So rice and curd are set fresh and served as soon as they are chilled. 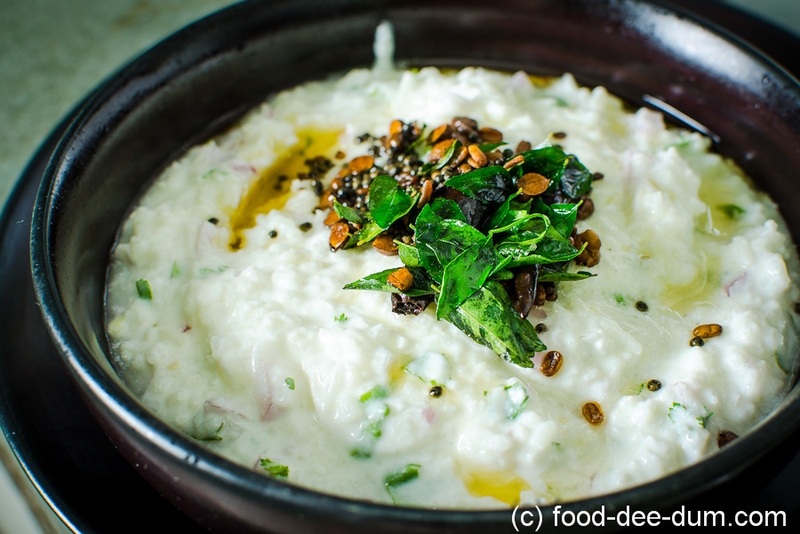 Curd rice is also served lukewarm by some so you need not chill it. That’s just how I like it. 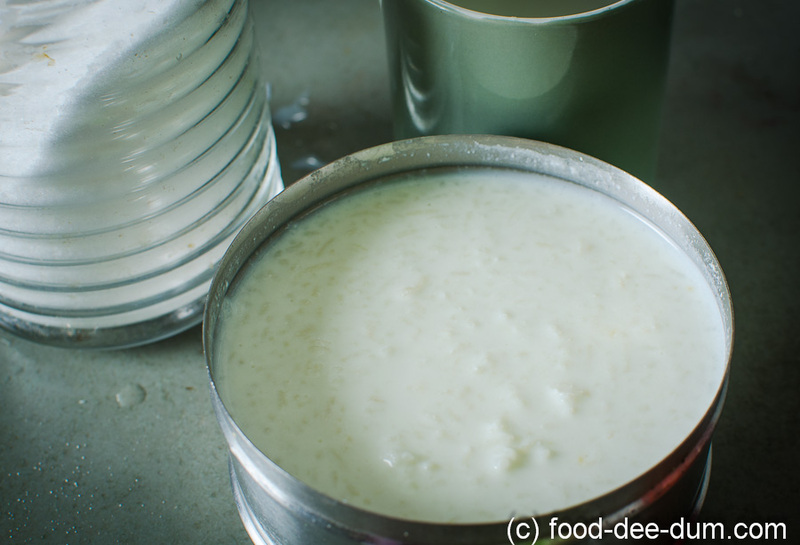 If you are pressed for time and want to make this instantly, then mix rice, salt and curd with only half the quantity of milk, i.e. 1/4 cup. Just enough to undercut the sourness and adjust the consistency. No curd setting required. Then add the additives and tempering as above before chilling.